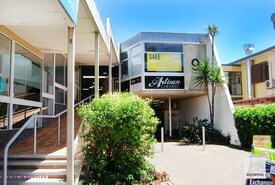 108 Commercial Real Estate & Properties in Maroochydore are listed in 3 categories. We have 68 OfficesLease , 27 Retail ShopsLease and 15 Industrial Warehouses Lease . Emily Pendleton from Ray White Commercial Northern Corridor Group is pleased to present to the market for the first time in a number of years, 96m2 of industrial warehouse space for lease in the highly sought after Maroochydore industrial area, just off Wises Road. This complex boasts excellent signage exposure to the Sunshine Motorway like no other! This is an excellent opportunity to brand your business and be seen by hundreds of cars each day. The warehouse itself is compact, clean and tidy and fully self contained with a full kitchen and internal amenities. 96m2 Huge signage opportunity fronting the Sunshine Motorway Low impact industry zone Ample onsite car parking High clearance roller door personal access door Internal amenities full kitchen Air conditioned office/mezzanine Dual roller doors for good cross ventilation Contact exclusively appointed marketing agent Emily Pendleton for further information or to arrange an inspection! This boutique waterfront tenancy features full floor to ceiling glass shop frontage, concrete polished floors and internal elevated ceilings allowing plenty of natural light to pour in. The doors open up to a water front terrace, perfect for outdoor dining with glass planter boxes already installed. This is a great opportunity for a proven operator and would suit an espresso bar, boutique wine bar or small restaurant / cafe. + 114sq m (approx) plus great outdoor dining area + Full commercial kitchen plus cold room in place + Picturesque and open river front location + Available now + Great internal lighting + Full kitchen plus cold room + Close to Cotton Tree park, office buildings, retail shops and residential units + Attractive to both locals and holiday makers Call or email Tallon Pamenter or David Smith to inspect the property or find out about other suitable options. Our team is strategically located in two offices across the Sunshine Coast region and is ready to handle your commercial, industrial and retail property needs today so call or email now. 28m2 Premise Parking on street front Popular Sixth Ave + Aerodrome Road Exposure Private Parking Part of popular Maroochy Sands Holiday Apartments Call our exclusive marketing agents Jordan Hayes 0417 999 331 or Michael Shadforth 0488 981 076 to arrange your inspection. 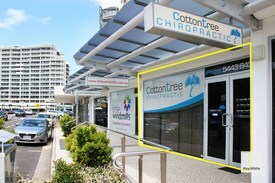 69m2 First floor with access at the rear of the building Ample onsite car parking Located within walking distance to the beach Full kitchen, toilet and shower Centrally positioned on Aerodrome Road in close proximity to the new Maroochydore CBD Currently fitted out with an open plan area, separate office/treatment room and full kitchen toilet and shower Would be perfect for anyone in the professional service or allied health industries Rent $17,250 P/A Net Outgoings $3,957.88 approximately For further information or to arrange an inspection please contact Emily Pendleton from Ray White Commercial Northern Corridor Group. + 55sq m (approx) strata office with balcony + Open plan tenancy with good amenities + Fit out includes reception desk, three small offices with frosted glass and a kitchenette + Would be suitable for office or medical / allied health uses + Two secure undercover car parks + Separate visitor parking area + Close proximity to Sun Central CBD development + Easy access to town centre and motorway + Owner would consider leasing each of the three offices individually Call or email David Smith or Tallon Pamenter to inspect the property or find out about other suitable options. Our team is strategically located in two offices across the Sunshine Coast region and is ready to handle your commercial, industrial and retail property needs today so call or email now. This fully fit out office space is located adjacent to Sunshine Plaza, in a central location waiting for a company ready to capitalise on the ever expanding business precinct. A' Grade office space including: Reception, offices, boardroom, open plan space, kitchenette and storage Lift access 10 allocated car spaces Please contact the listing agents Jordan Hayes on 0417 999 331 or Michael Shadforth on 0488 981 076 for more information. + 110sq m ground floor and 222sq m second floor office tenancy (sizes approx) + Includes large boardroom, several offices, meeting rooms, reception and kitchenette + Would suit a law firm or accountancy group + Air conditioning, carpet and tiles throughout + Prominent signage available at street level + Central location a few minutes walk to Sunshine Plaza + Tenancy has the option to be split + 10 car parks to the rear of the building Call or email Tallon Pamenter or David C Smith to inspect the property or to find out about other suitable options. Our team is strategically located in two offices across the Sunshine Coast region and is ready to handle your commercial, industrial and retail property needs today so call or email now. Situated in the heart of Maroochydore almost backing directly onto the recently refurbished Sunsine Plaza, this showroom provides a rare mix of practicality and exposure. With a rear loading dock, huge amount of signage and adaptable floor plan, the showroom presents a range of opportunities. 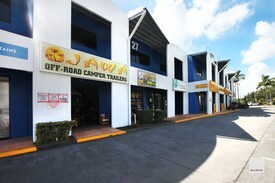 The owners have operated Jawa Campers out of the site for a number of years now, with the business exponentially growing and now requiring a larger premises. 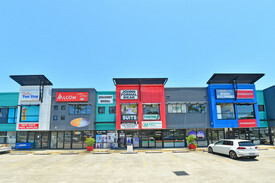 446m2 Rear loading Ample car parking High exposure Central location Please contact the leasing agents Jordan Hayes on 0417 999 331 or Michael Shadforth on 0408 981 076 for more information. 100m2 approx. 65m2 cold/freezer room 35m2 fully air conditioned office/reception 80m2 approx. fully fenced hardstand Available immediately Good access to Bruce Highway Sunshine Motorway Central Location close to Maroochydore CBD Freestanding building so good access in and out Rental: $384.61 per week Outgoings: $46.10 per week Please contact our marketing agent Emily Pendleton to discuss further or to arrange an inspection. Exceptional opportunity to secure a well presented office suite of 107sq m (approx) with a large balcony and secure parking ideally located only moments from the new Maroochydore CBD. 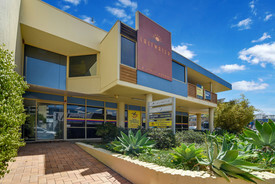 Ray White Commercial are moving to a bigger office to suit their growing requirements. + Fitted with boardroom, waiting area, open plan area and kitchen + 107sq m plus balcony of 19sq m (sizes approx) + Three secure car spaces on title + Ample visitor parking + Ideally located directly in front of the elevator at the front of the complex + Excellent natural light with full height glass windows + Carpeted and air conditioned throughout + Also available for sale Call or email Matthew Marenko or David Smith to inspect the property or find out about other suitable options. Our team is strategically located in two offices across the Sunshine Coast region and is ready to handle your commercial, industrial and retail property needs today so call or email now. 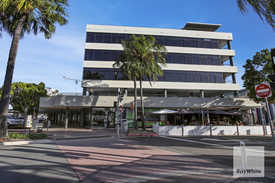 High quality office in the new boutique office and retail building ideally located at 1 Beach Road with direct frontage to Maroochydore Road, next to the new Guzman y Gomez, Gloria Jeans and The Rooftop Bar. + Full floor of 255sq m (approx) + Exceptional natural light and views + Ample rear parking + Brand new architect designed building + Long term opportunity available Call or email Matt Marenko or David Smith to inspect the property or find out about other suitable options. Our team is strategically located in two offices across the Sunshine Coast region and is ready to handle your commercial, industrial and retail property needs today so call or email now. This office space is centrally located above bustling Ocean Street, with excellent amenity to local cafes, restaurants and retail. 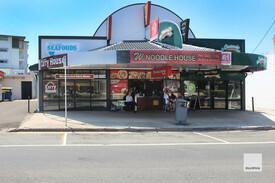 The property represents an excellent opportunity to position your business at the heart of Maroochydore, with partial fit out already in place. + Four individual offices available from 12sq m to 25sq m (approx) + Rent includes outgoings and electricity + Tiled reception area + Boardroom and an open plan common area + Kitchen and break out room + Abundance of natural light and views + Car parking spaces available at a reasonable rate Call or email David Smith or Louisa Blennerhassett to inspect the property or to find out about other suitable options. Our team is strategically located in two offices across the Sunshine Coast region and is ready to handle your commercial, industrial and retail property needs today so call or email now. 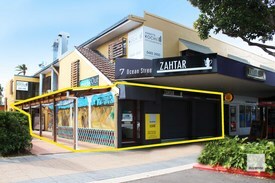 Exceptional opportunity to secure a new retail space of 82sq m (approx) ideally located in the new 1 Beach Road building with direct frontage to Maroochydore Road, next to the new Guzman y Gomez, Gloria Jeans and The Rooftop Bar. 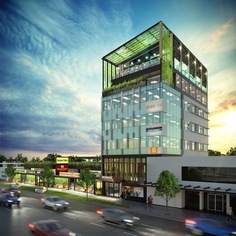 + Fantastic exposure and signage + Ample rear parking + Brand new architect designed building + Located below five levels of office suites allowing for huge passing trade + Long term opportunity available Call or email Matthew Marenko or David Smith to inspect the property or find out about other suitable options. Our team is strategically located in two offices across the Sunshine Coast region and is ready to handle your commercial, industrial and retail property needs today so call or email now.